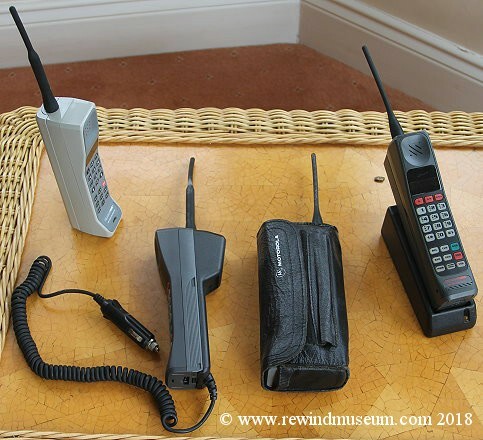 The first handheld brick phones. antenna was caused by the parrot attacking it with it's beak! 1987. 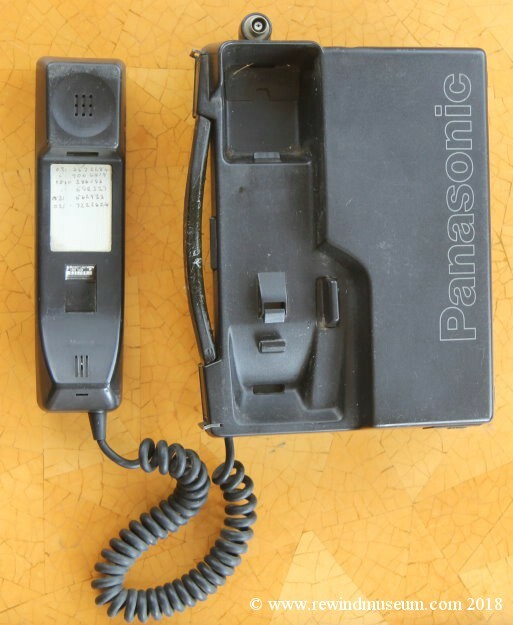 Panasonic EF-6157EA car phone. Range Rover branded. carrying a transportable in a case with a carry handle. 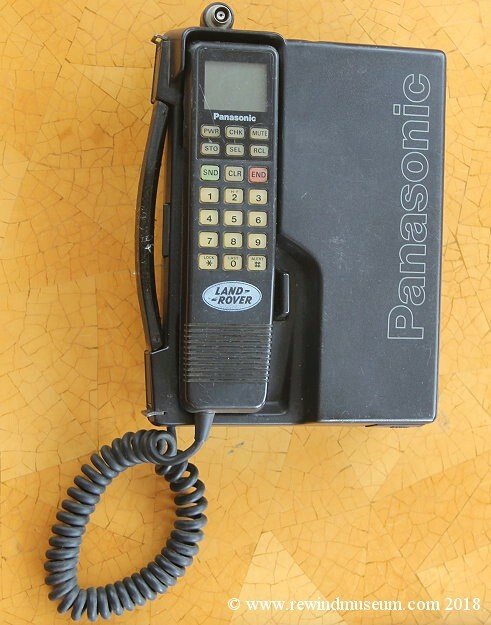 It would have been similar to this Panasonic. been fitted to a Land Rover as it has a Land Rover official badge on the top of the handset. Weight 3.1Kg It was also called an EJB-114. 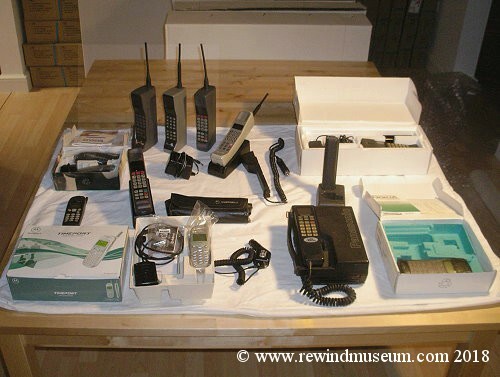 Price when new in the USA - $1500 in 1988. 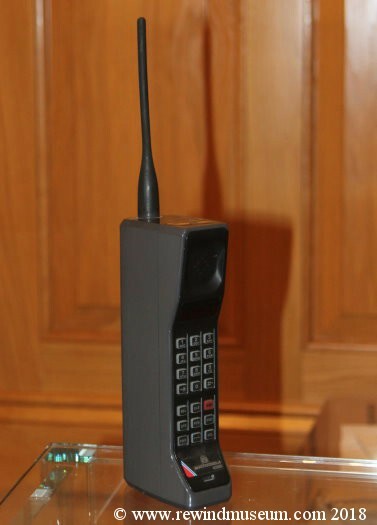 By February of 1973, Motorola had succeeded in producing the first working DynaTAC portable phone prototype. grey. 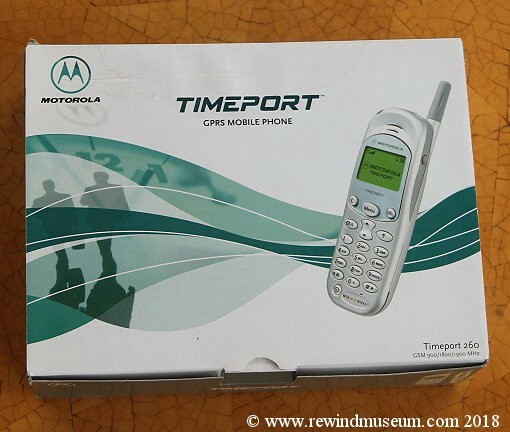 A red triangle with blue and white stripes to the left of the Motorola logo marks the non-U.S. versions. The picture above shows a selection in the museum and this includes the 8500X, see above right and below. 1987. 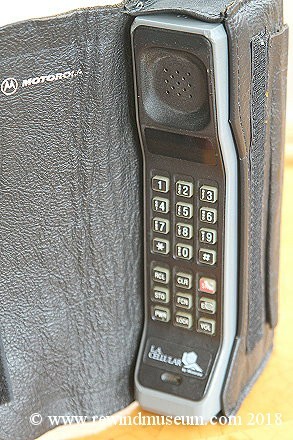 Motorola 8500X cell phone. 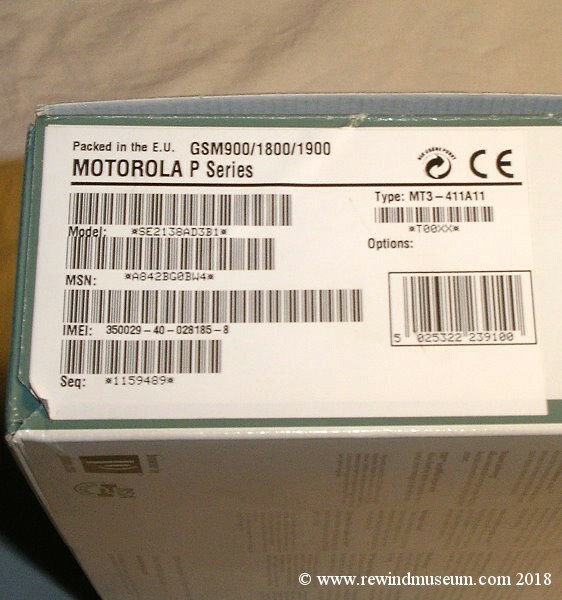 Of all the Motorola 8000 series phones in the collection, the 8500X is my favourite. 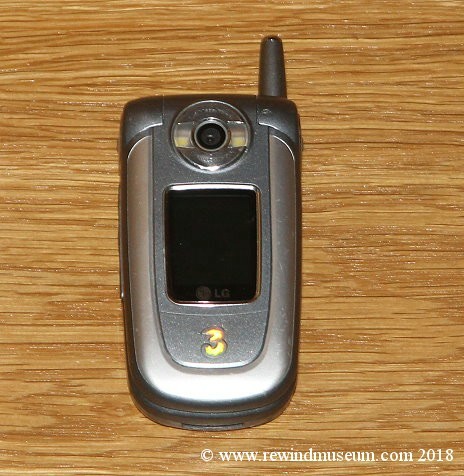 It came into the collection in 2005.
was a dark charcoal grey. 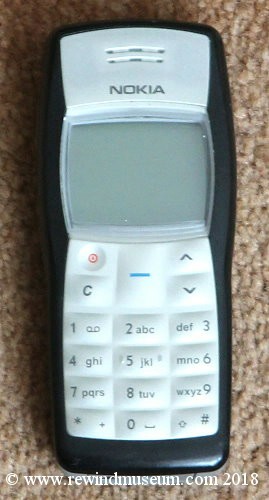 A red triangle with blue and white stripes to the left of the Motorola logo marks the non-U.S.
(UK) version. 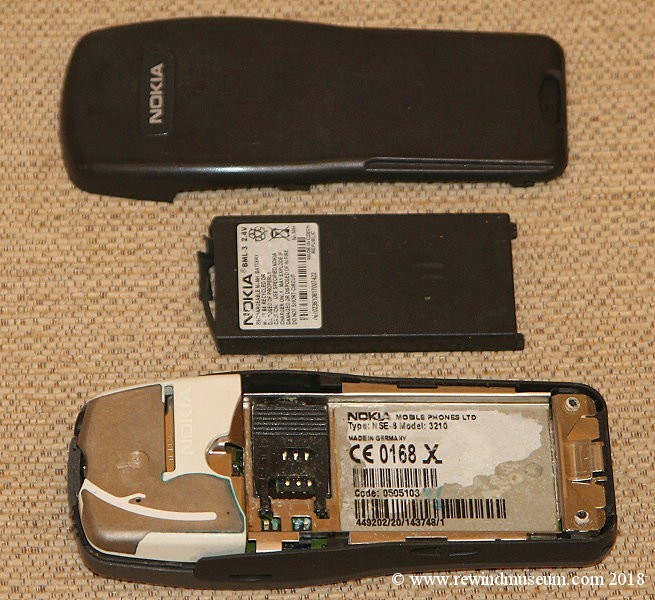 The 8500X was an improvement on the 8000X as it had the ability to store contact details in it's memory. computer and so I am able to look at it every single day! 1989. 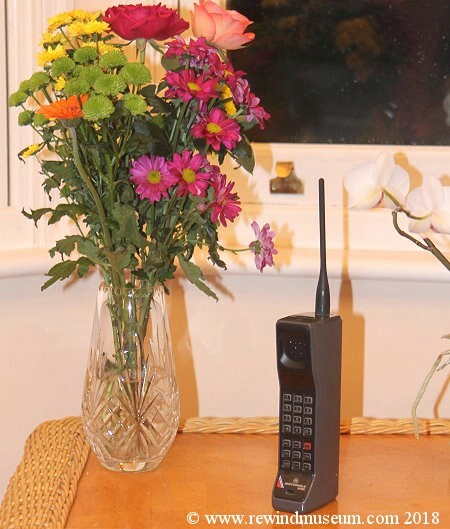 The Motorola MicroTAC. 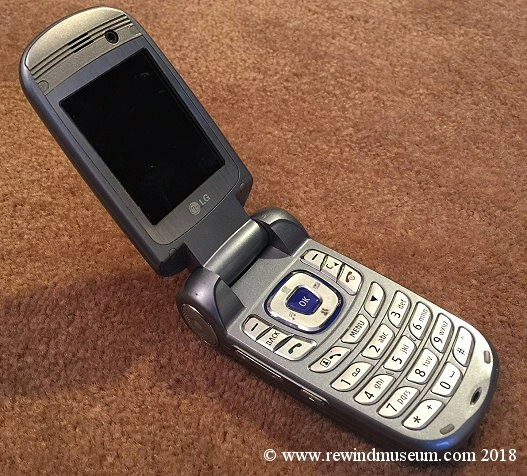 The 1st ever "flip" phone. retailed between $2,495 and $3,495 An interesting design feature was the retractable aerial. 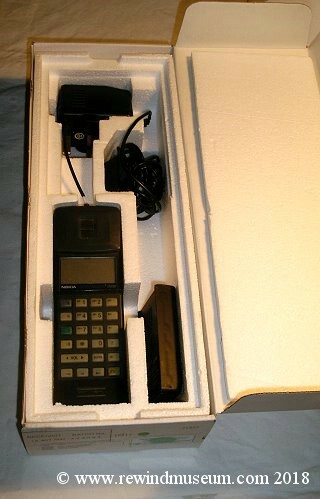 a flip up phone / communicator was part of the original science fiction Star Trek series. 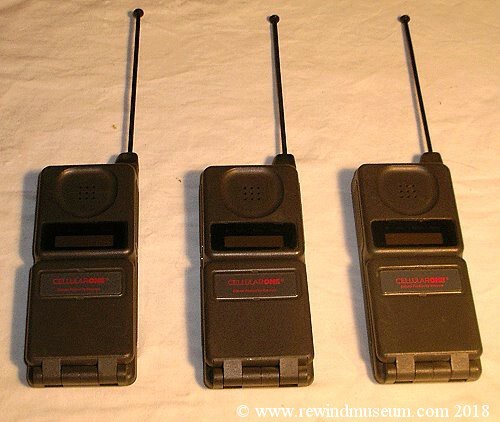 We have 3 Motorola MicroTAC phones in the museum (but no Star Trek communicators). Tohoku Pioneer Corp, using OEL technology the display was not in full colour but did use green blue and red. 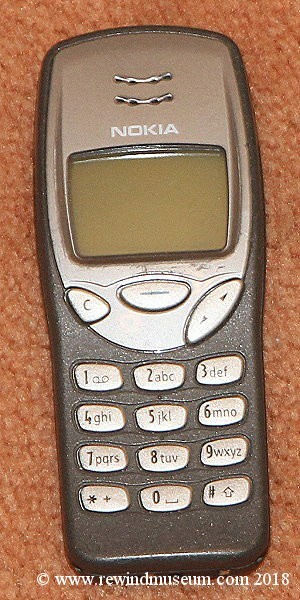 The Nokia 2110 was first announced in 1994. 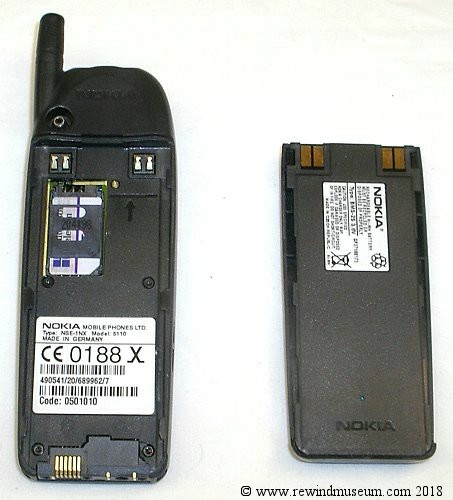 It is the first Nokia phone with the Nokia tune ringtone. It was aimed at business users. Notice it uses a full size simm card. 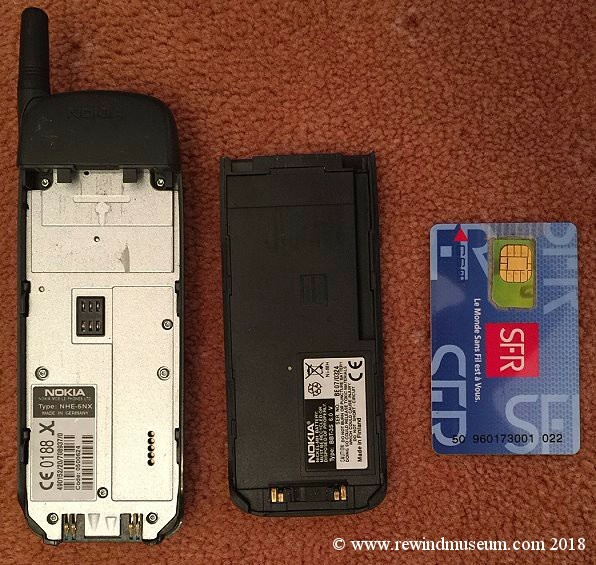 also interesting to see the full size SIM card. 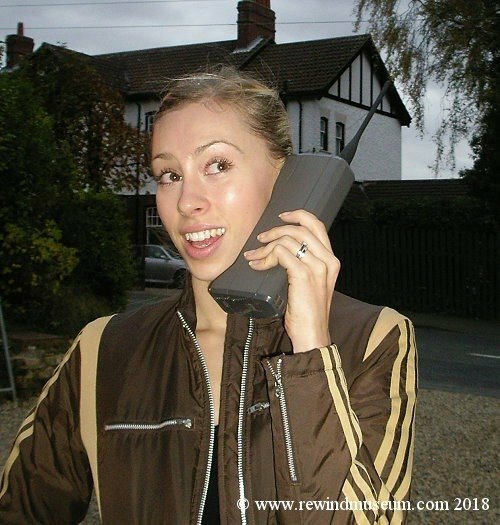 At 232g is it a "brick" phone or a "candy bar"
phone? Maybe the latter. 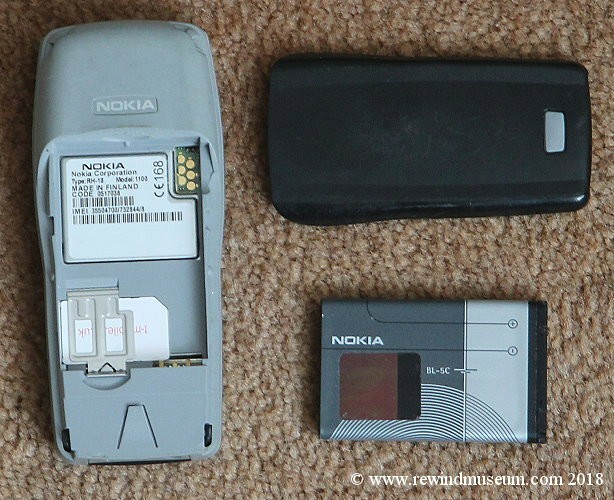 In 1996 mobile phones were only owned by 10% of the population. 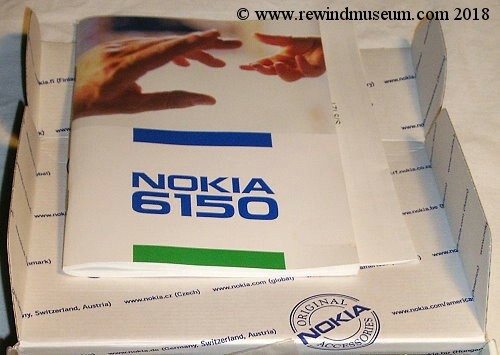 In 1998 Nokia launced the 6150. 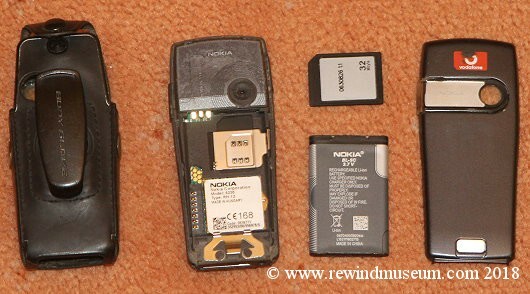 It is an enhanced version of the Nokia 6110. 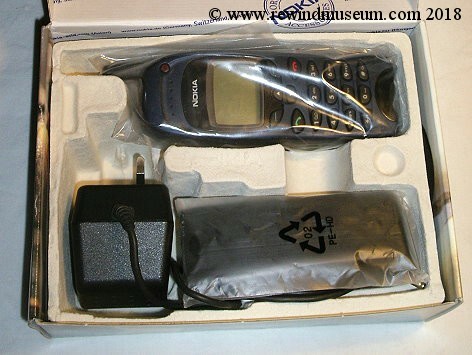 This was another very popular digital phone from Nokia with 160 million sold. Weight 151g, "candy bar" type. contributed to the phones success. 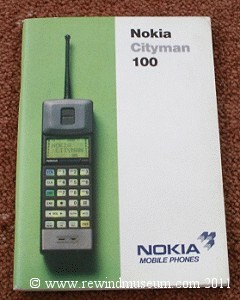 It also had changeable covers which made it popular with younger consumers. 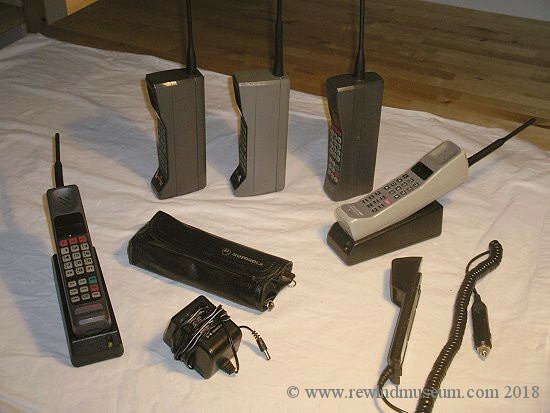 analogue and digital cellular service but by the year 2000, analogue networks started to close down. 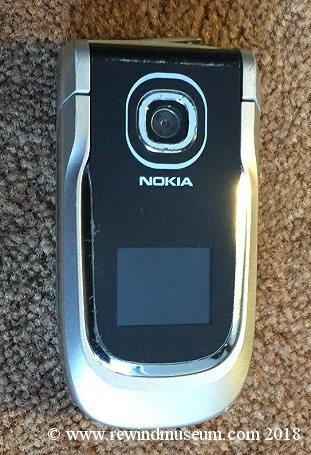 This was my last normal phone. 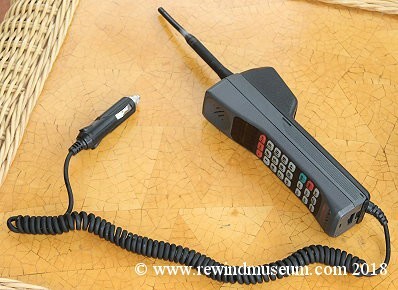 Following this phone I had a Blackberry, then a Galaxy II and then an iPhone. Banking, Whatsap and much more. The pictures above also show the excellent case. somewhere. 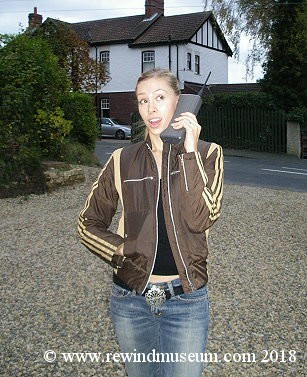 It was used as a PAYG phone and she used it for 2 years. 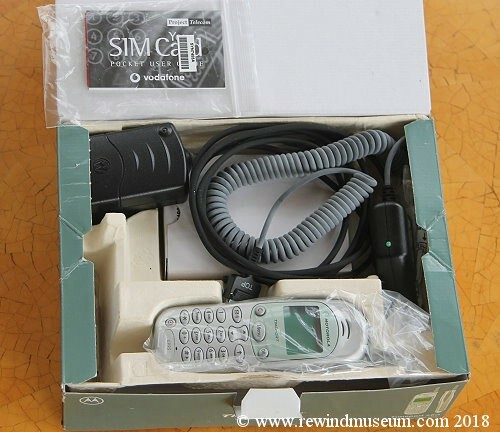 The Nokia 5110 was a basic GSM phone. 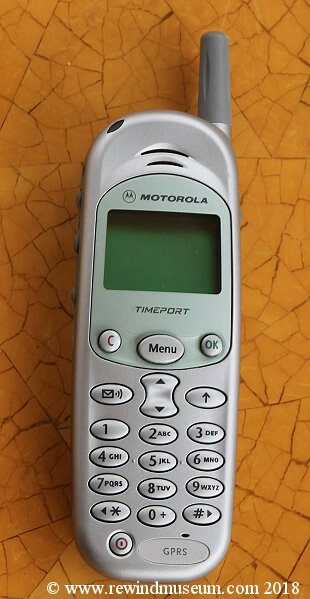 was a rugged phone and had a long battery life. It had an LCD display. 2007. 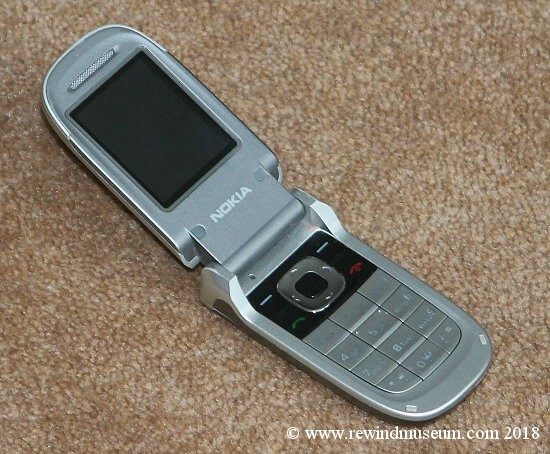 Nokia 2760 flip phone. compact and ideal for a ladies hand bag. Weight only 81g. 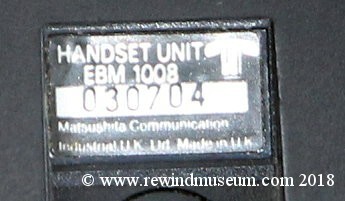 It had a good camera in it's day an an FM radio. possible but not easy as it does not have a full keypad. 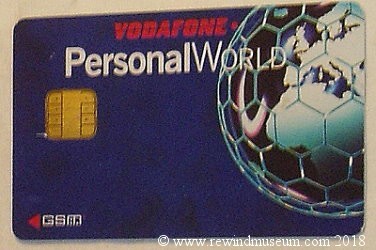 Internet access was via a WAP browser. 2005. 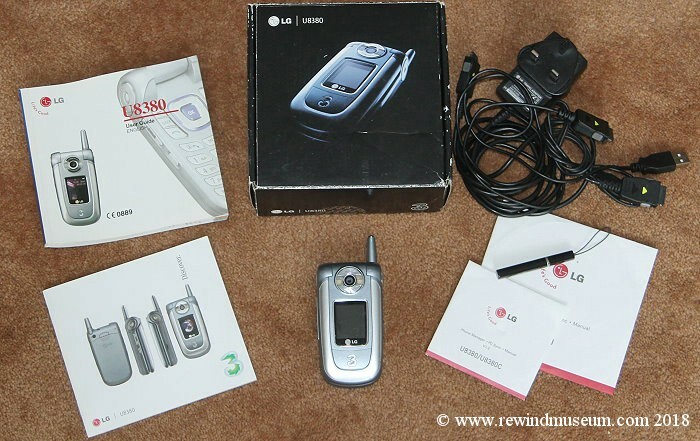 LG U8380 flip phone. network. At 139g it is quite heavy but it feels like it has a very high build quality. a voluntary basis. Donations, not money, just old items you no longer want, are always welcome. If you have something that you think would be of interest, please contact us with the details. We can send in a courier to pick them up. (Even an international courier). Thank you. Library so that future generations can always access the site's content. To talk to us about making a donation please go to - "making a donation". 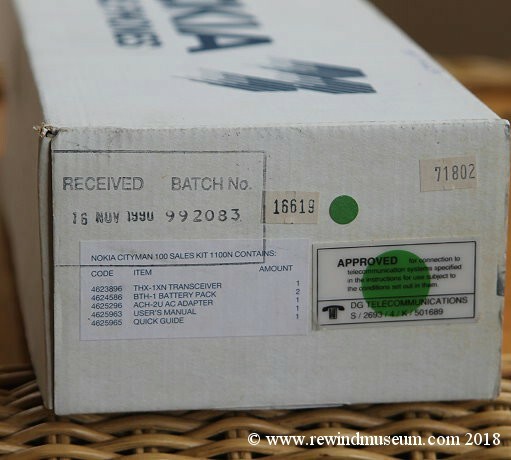 Are you interested to read about a 10 year + restoration of a classic vehicle? 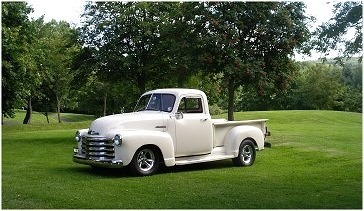 The 1952 The 1952 Chevy truck web site. is one of a group of businesses which we have in the field of Satellite TV. 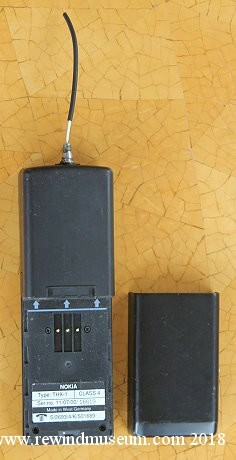 Multiswitches Caravan satellite Satellite finder meters Installation equipment. 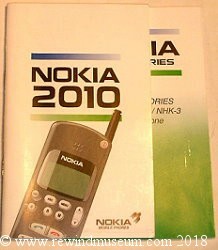 Catalogue of all satellite products. 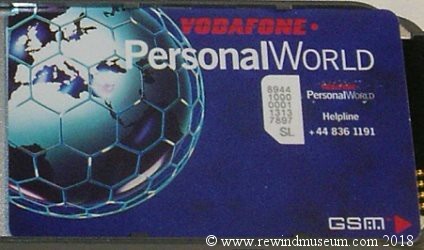 Rewind Museum web site is maintained on a non-profit making voluntary basis. Our main business website is at www.satellitesuperstore.com. systems, multiswitches, instrumentation, accessories and installation equipment. Return to our website introduction page. Read about the aims of our museum. Web site copyright © 2018 Vision International. All rights reserved. 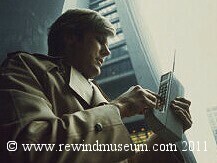 For all questions & comments about this site's content contact Dave at Rewind Museum.